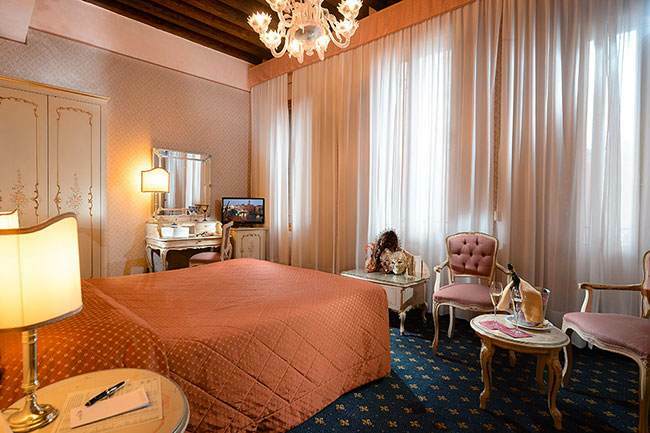 At Hotel Rialto you will find all the modern comforts and services you can expect from the best 4 star hotel Venice. 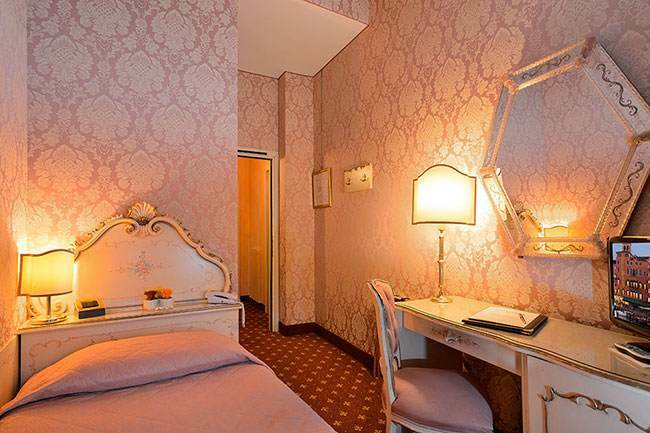 In the common rooms you will find: internet point, safety box, an elevator to conveniently access the different floors and the panoramic terrace, concierge service is always available to guests, money exchange, luggage and baby sitting service (on request) and 24h reception, multilingual staff, laundry service, room service, bar and restaurant, open from April to October. 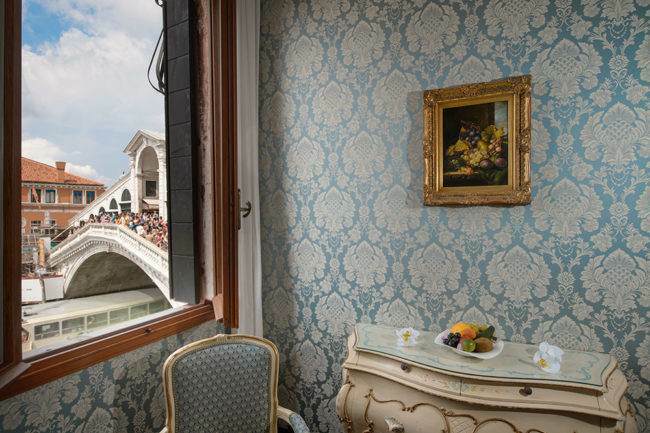 During this period of the year breakfast is served on the terrace from where you can enjoy the extraordinary view on Rialto Bridge. 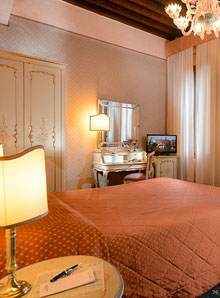 Rooms come with bathtub or shower, air conditioning, direct telephone line, satellite TV, mini bar and dryer. 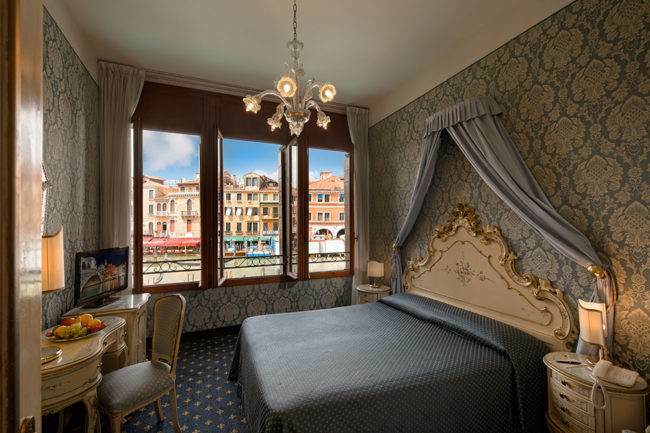 In front of the hotel you will find the landing for the gondolas, water taxis and the vaporettos ACTV 1 and 2. 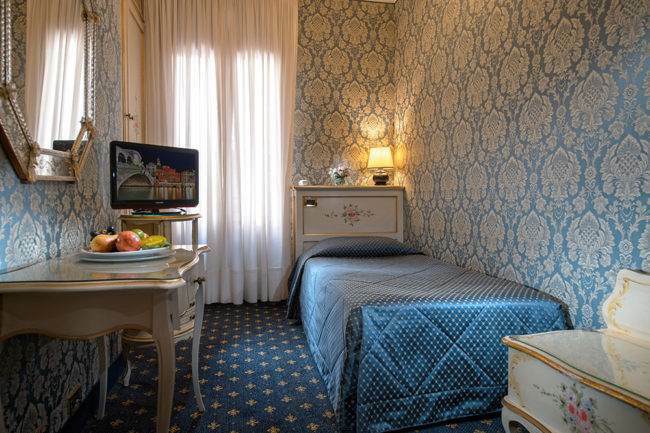 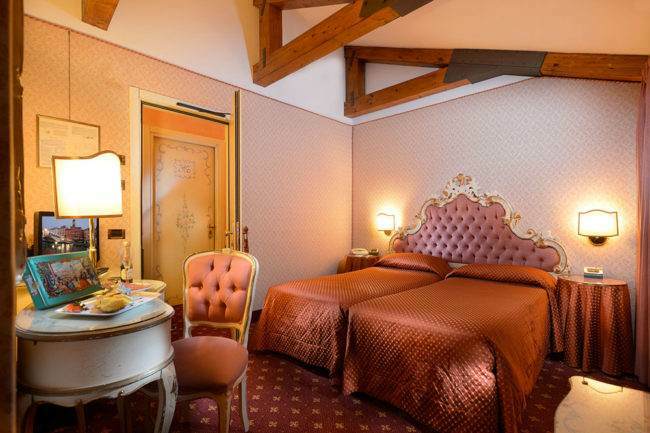 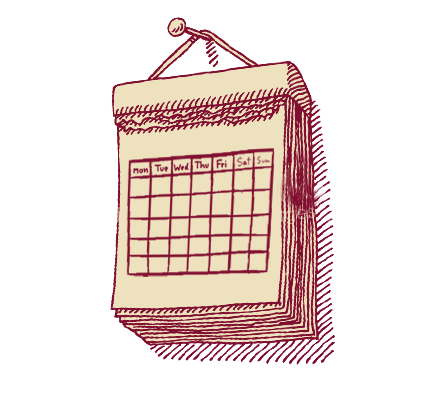 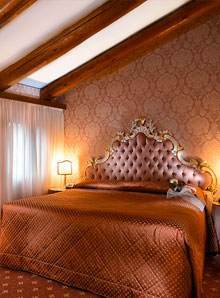 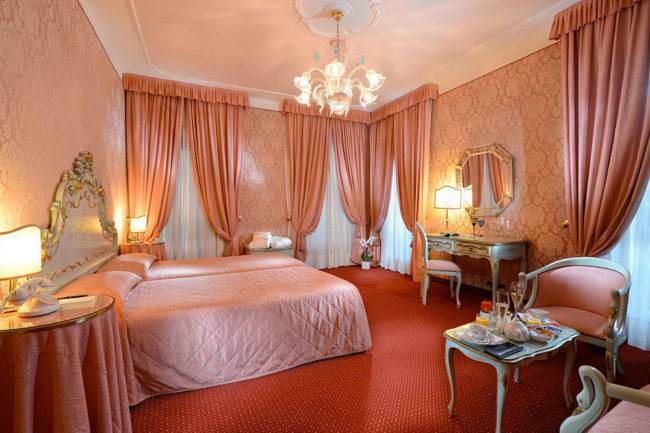 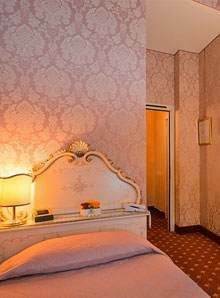 The Hotel Rialto is pleased to offer six types of rooms. 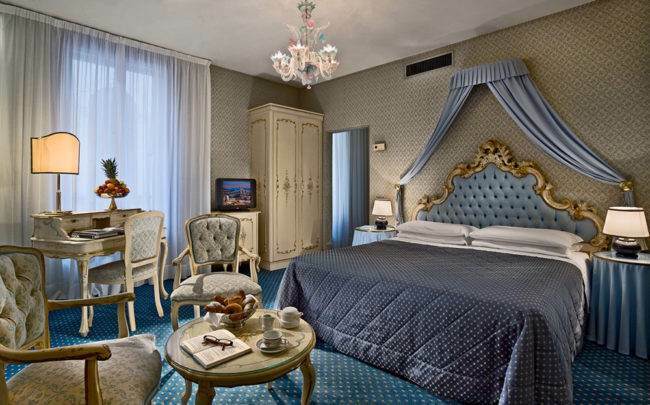 All rooms are elegantly furnished, featuring all the services and amenities you can expect from a 4 star hotel Venice. 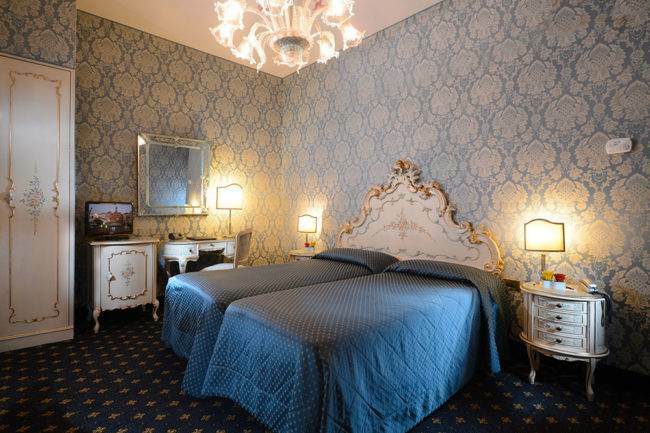 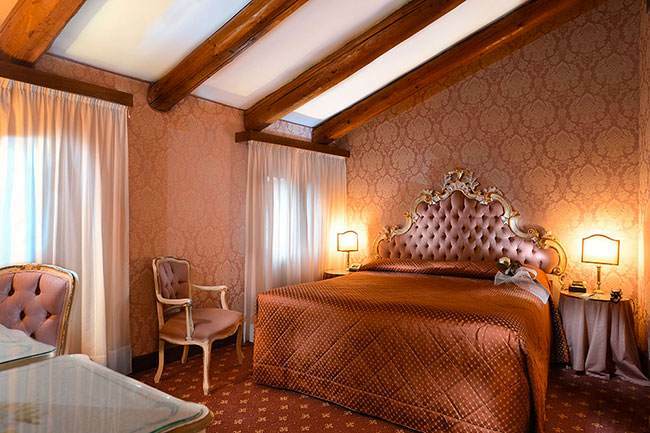 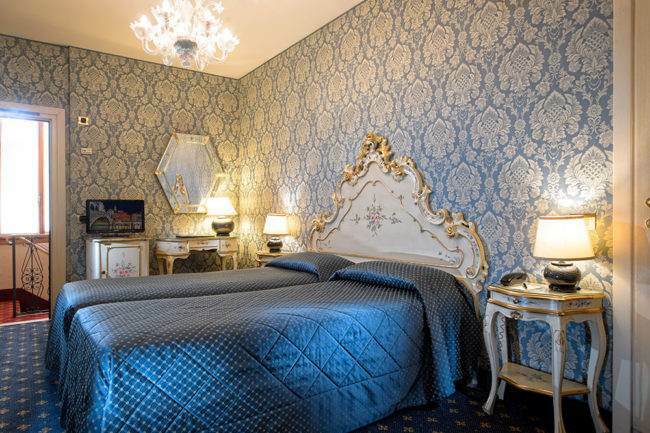 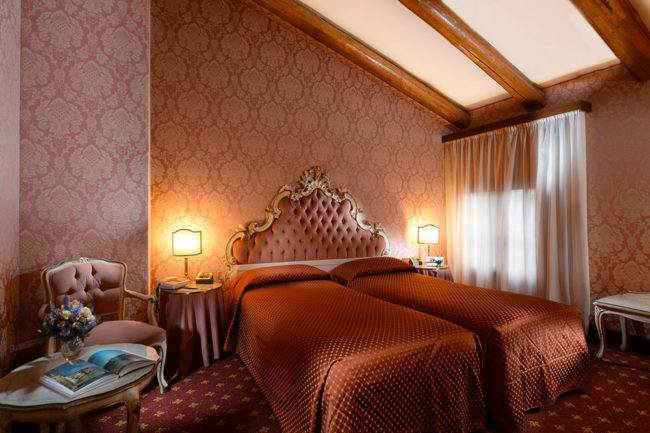 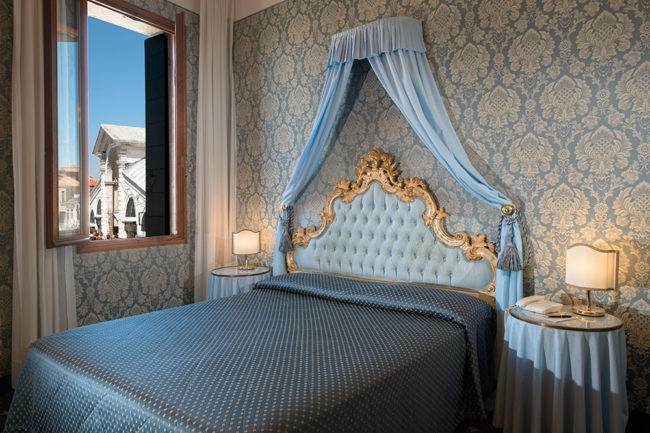 4 star Hotel in a traditional building with 79 rooms, 28 of which overlook the Grand Canal, completely refurnished in a combination of modern and Venetian style. 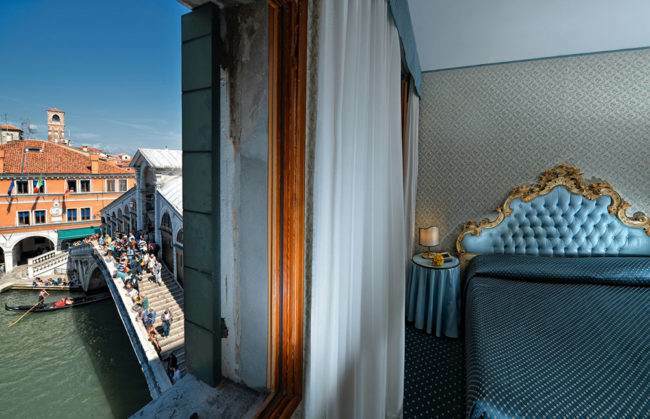 The terrace restaurant and bar offer an ever-changing view of the daily life of the busy and colorful Grand Canal which the hotel faces. 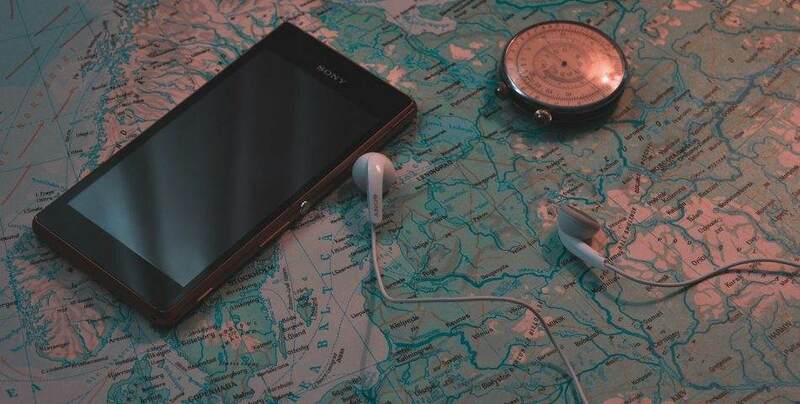 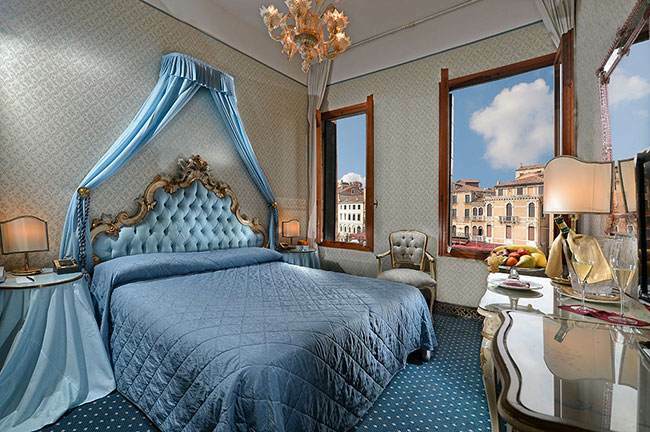 Ideally placed for exploration and discovery of the city. 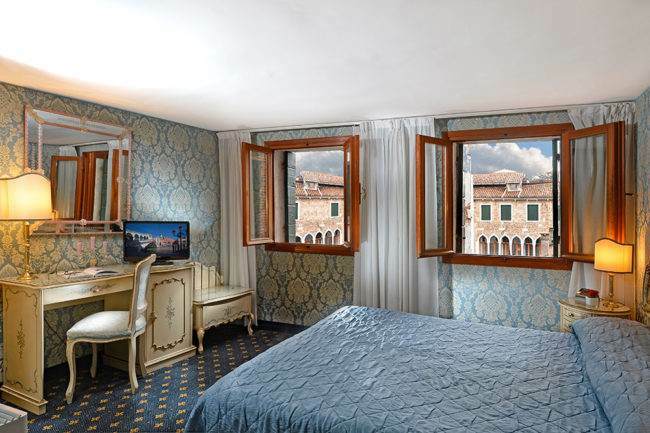 Picture yourself sitting at your Double Classic room window gazing out at the Rialto Bridge (one of the most famous landmark in Venice) or even the typical courtyard and Venetian lanes. 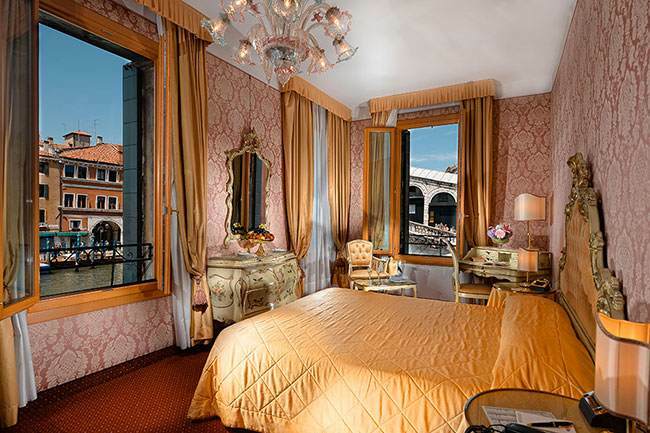 Below the bridge's arch, a steady stream of gondolas and boats make their way along the Grand Canal and the water-buses stop a few steps from the Hotel placing all of Venice at your disposal. 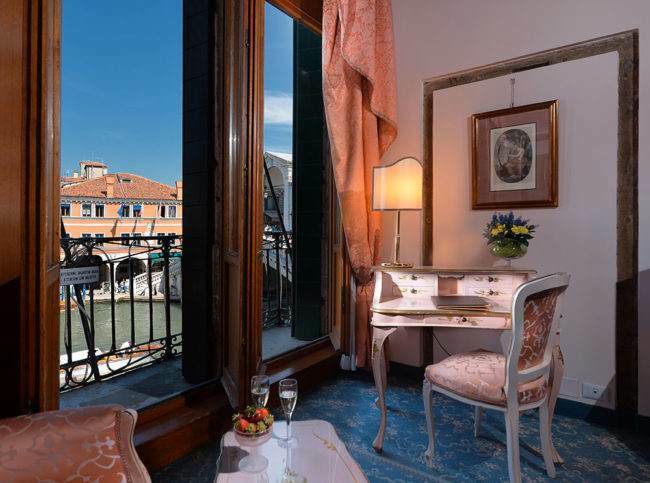 The Junior Suites with a view of the Canal Grande and Rialto Bridge are the perfect setting for your romantic stay in Venice. 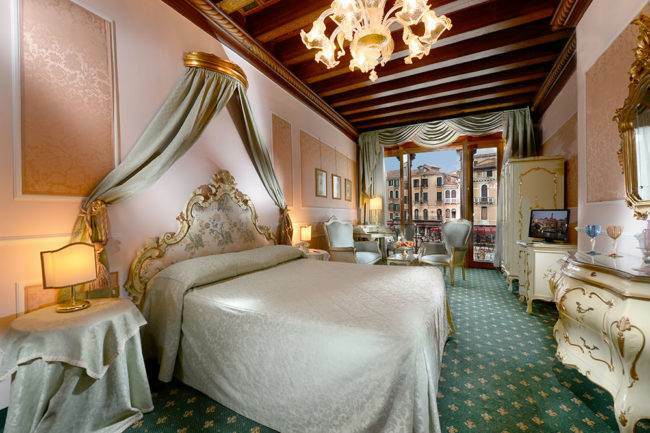 From here, you'll be able to admire the Canal Grande and its reflection of Venice painted by the light, as the gondolas float by under the Rialto Bridge. 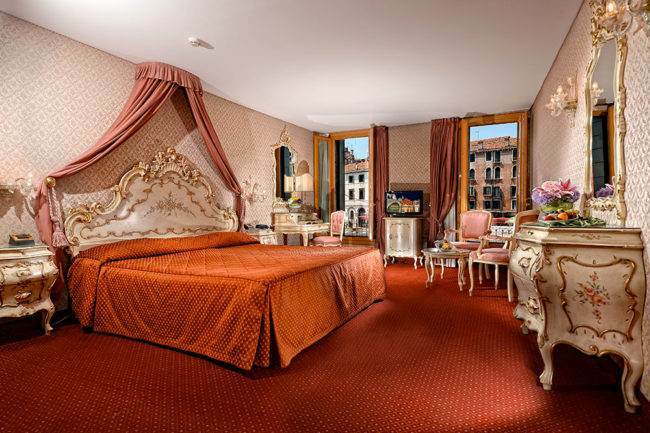 Enjoy the soft comfy customized bathrobes, slippers and extensive courtesy kit and every comfort you can expect from a 4 star hotel Venice. 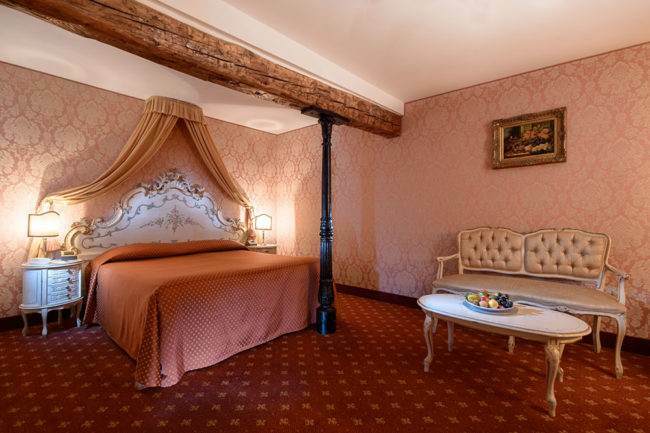 A tranquil alternative are the Junior Suites facing onto an internal street of the hotel. 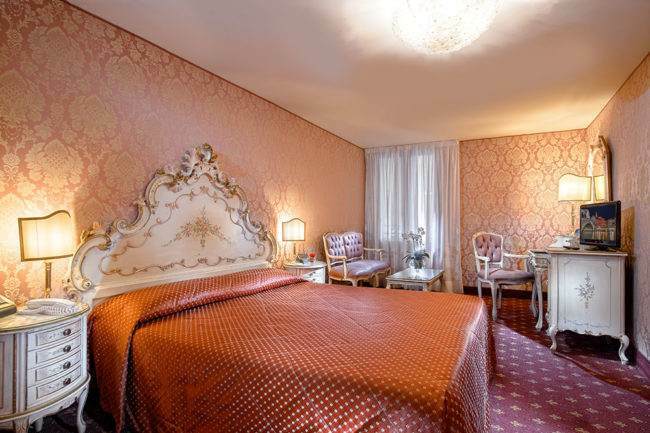 Measuring from 18 to 25 sq. 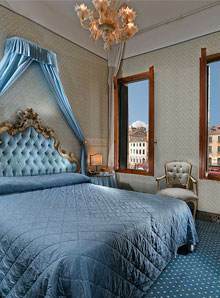 m, and all with a private bath, they allow for the addition of a third bed and cot on request. 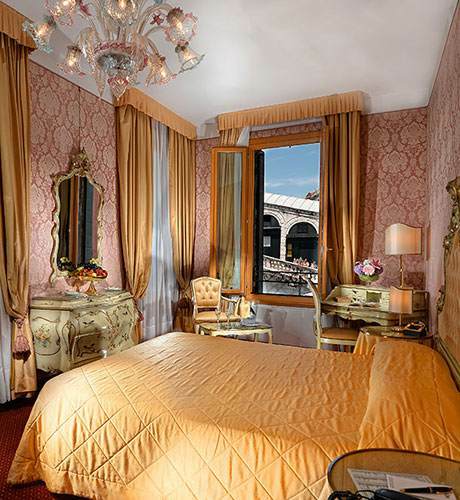 Hotel Rialto dedicates sophisticated junior Junior Suites in the heart of Venice for your honeymoon or romantic get-away. 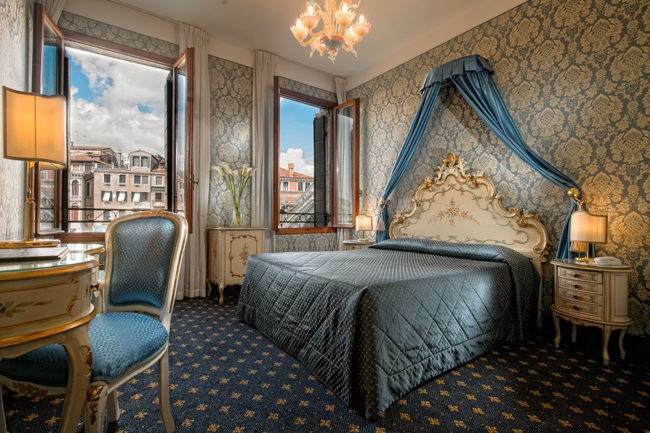 The junior Junior Suites with views of the Grand Canal and Rialto Bridge will make you fall in love with the Hotel Rialto, one of the most romantic hotels in Venice. 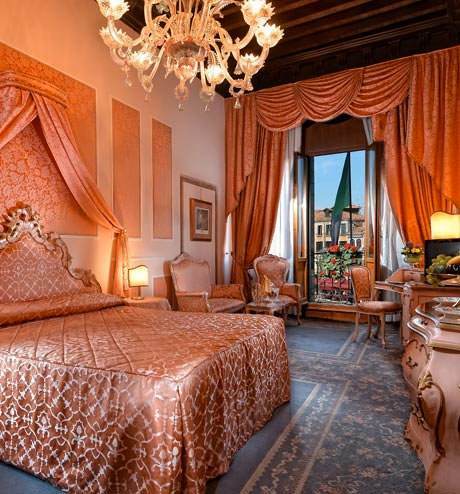 Flamboyant and romantic, decorated in the most classical 18th century Venetian style, with great care put into every detail to achieve elegance and comfort, the Honeymoon Junior Suite of Hotel Rialto is an inchanting space in which to relax after spending a day visiting the city and where to enjoy the charm and unique atmosphere of Venice all from the Balcony of the Honeymoon Junior suite which overlooks the most beautiful corner of the Grand Canal, just across from the Rialto Bridge . 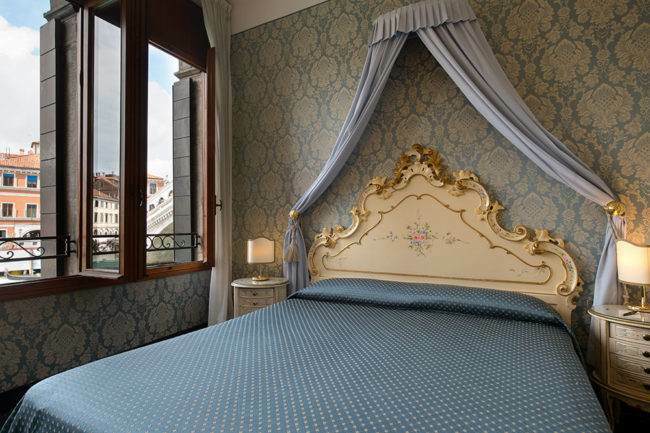 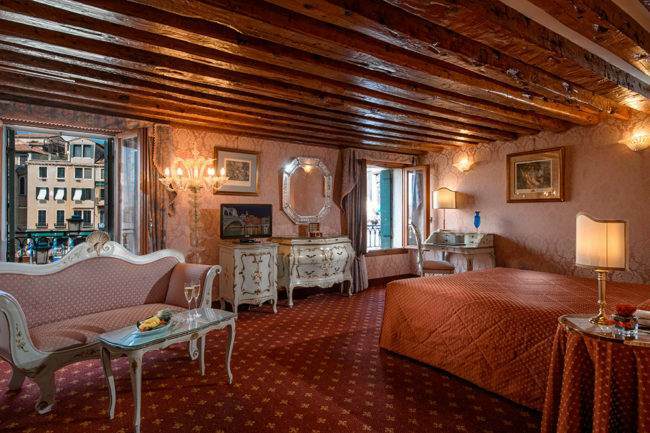 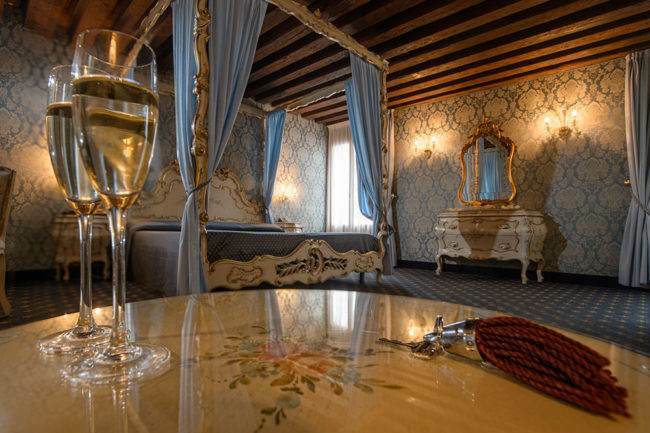 The Honeymoon Junior Suite, featuring a balcony overlooking the Canal Grande and Rialto Bridge, with a sitting area (sofa and two armchairs) and 18th century furnishings is the ideal place for a romantic honeymoon. 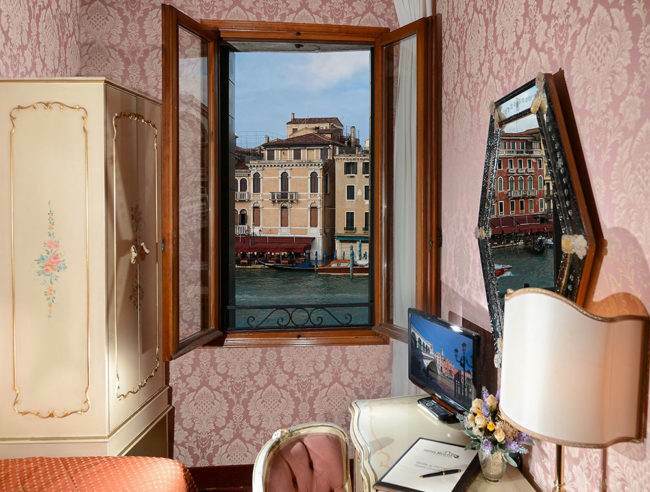 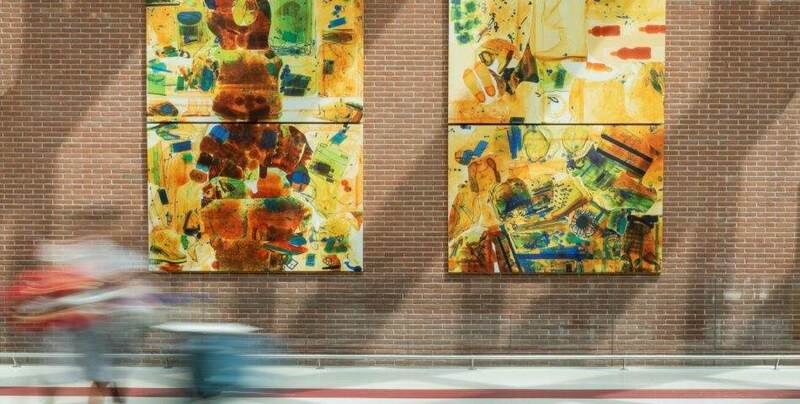 San Marco Hotels group supports the art exhibition of venetian artist Sonia Ros, "Inner Life". 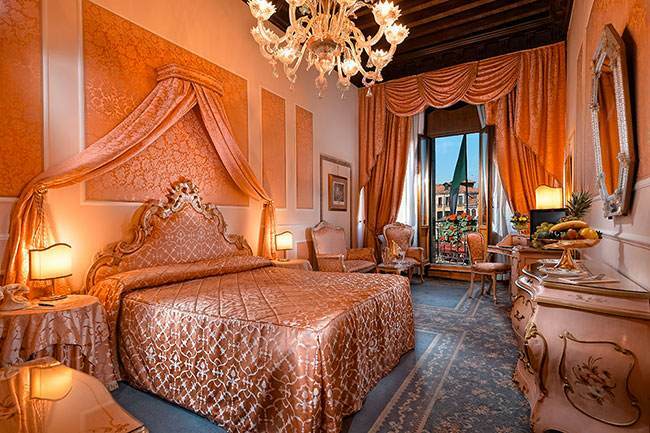 Come to Venice to discover it!